Were Hedge Funds Right About Snapping Up Honeywell International Inc. (HON)? Many investors, including Paul Tudor Jones or Stan Druckenmiller, have been saying before the Q4 market crash that the stock market is overvalued due to a low interest rate environment that leads to companies swapping their equity for debt and focusing mostly on short-term performance such as beating the quarterly earnings estimates. In the fourth quarter, many investors lost money due to unpredictable events such as the sudden increase in long-term interest rates and unintended consequences of the trade war with China. Nevertheless, many of the stocks that tanked in the fourth quarter still sport strong fundamentals and their decline was more related to the general market sentiment rather than their individual performance and hedge funds kept their bullish stance. In this article we will find out how hedge fund sentiment to Honeywell International Inc. (NYSE:HON) changed recently. Is Honeywell International Inc. (NYSE:HON) an excellent investment right now? Investors who are in the know are in a bullish mood. The number of bullish hedge fund positions moved up by 10 in recent months. Our calculations also showed that HON isn’t among the 30 most popular stocks among hedge funds. HON was in 57 hedge funds’ portfolios at the end of the fourth quarter of 2018. 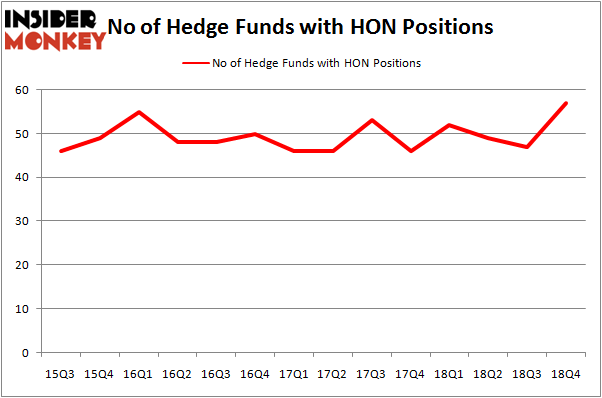 There were 47 hedge funds in our database with HON holdings at the end of the previous quarter. To most investors, hedge funds are assumed to be underperforming, outdated financial vehicles of years past. While there are greater than 8000 funds in operation at the moment, We choose to focus on the aristocrats of this group, around 750 funds. Most estimates calculate that this group of people have their hands on the majority of the smart money’s total asset base, and by keeping track of their top stock picks, Insider Monkey has revealed numerous investment strategies that have historically defeated the broader indices. Insider Monkey’s flagship hedge fund strategy outperformed the S&P 500 index by nearly 5 percentage points annually since its inception in May 2014 through early November 2018. We were able to generate large returns even by identifying short candidates. Our portfolio of short stocks lost 27.5% since February 2017 (through March 12th) even though the market was up nearly 25% during the same period. We just shared a list of 6 short targets in our latest quarterly update and they are already down an average of 6% in less than a month. Let’s check out the new hedge fund action encompassing Honeywell International Inc. (NYSE:HON). 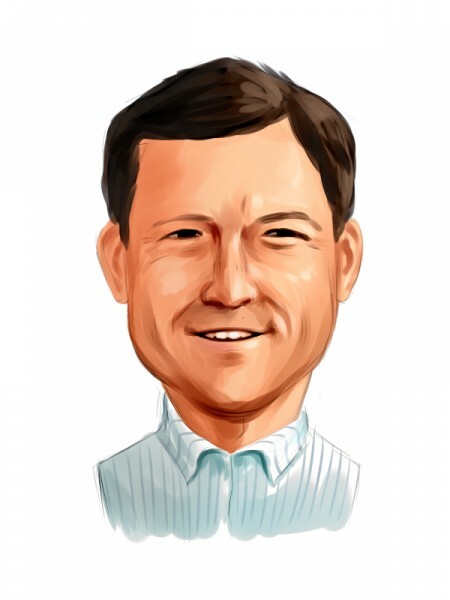 At Q4’s end, a total of 57 of the hedge funds tracked by Insider Monkey were bullish on this stock, a change of 21% from the previous quarter. Below, you can check out the change in hedge fund sentiment towards HON over the last 14 quarters. With hedgies’ positions undergoing their usual ebb and flow, there exists a few noteworthy hedge fund managers who were boosting their stakes substantially (or already accumulated large positions). Among these funds, Citadel Investment Group held the most valuable stake in Honeywell International Inc. (NYSE:HON), which was worth $385.7 million at the end of the third quarter. On the second spot was Millennium Management which amassed $290.7 million worth of shares. Moreover, AQR Capital Management, Adage Capital Management, and Two Sigma Advisors were also bullish on Honeywell International Inc. (NYSE:HON), allocating a large percentage of their portfolios to this stock. As industrywide interest jumped, specific money managers have jumped into Honeywell International Inc. (NYSE:HON) headfirst. Renaissance Technologies, founded by Jim Simons, established the biggest position in Honeywell International Inc. (NYSE:HON). Renaissance Technologies had $153.9 million invested in the company at the end of the quarter. John Brennan’s Sirios Capital Management also made a $74.3 million investment in the stock during the quarter. The following funds were also among the new HON investors: Sander Gerber’s Hudson Bay Capital Management, Michael Kharitonov and Jon David McAuliffe’s Voleon Capital, and Matthew Tewksbury’s Stevens Capital Management. Let’s also examine hedge fund activity in other stocks – not necessarily in the same industry as Honeywell International Inc. (NYSE:HON) but similarly valued. These stocks are AstraZeneca plc (NYSE:AZN), GlaxoSmithKline plc (NYSE:GSK), Accenture Plc (NYSE:ACN), and HDFC Bank Limited (NYSE:HDB). This group of stocks’ market valuations match HON’s market valuation. As you can see these stocks had an average of 26.5 hedge funds with bullish positions and the average amount invested in these stocks was $1258 million. That figure was $2831 million in HON’s case. Accenture Plc (NYSE:ACN) is the most popular stock in this table. On the other hand AstraZeneca plc (NYSE:AZN) is the least popular one with only 21 bullish hedge fund positions. Compared to these stocks Honeywell International Inc. (NYSE:HON) is more popular among hedge funds. Our calculations showed that top 15 most popular stocks among hedge funds returned 19.7% through March 15th and outperformed the S&P 500 ETF (SPY) by 6.6 percentage points. Hedge funds were also right about betting on HON, though not to the same extent, as the stock returned 18.2% and outperformed the market as well. Were Hedge Funds Right About Buying Costco Wholesale Corporation (COST)? Were Hedge Funds Right About Dumping Twenty-First Century Fox Inc (FOX)? Do Hedge Funds Love Diageo plc (DEO)? Were Hedge Funds Right About Buying United Technologies Corporation (UTX)? Hedge Funds Have Never Been This Bullish On Thermo Fisher Scientific Inc. (... Itau Unibanco Holding SA (ITUB): Are Hedge Funds Right About This Stock?